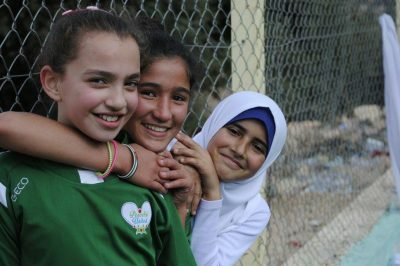 Peaceful United organises a Football Tournament in Ramallah. This tournament is for girls aged 12-16. Sixty girls from 6 different schools will play in a two-day football tournament. One day prior to the tournament, Peaceful United will host a Sports and Cultural Exchange Day with exercises aimed at resilience, individual development & inclusion and friendship. 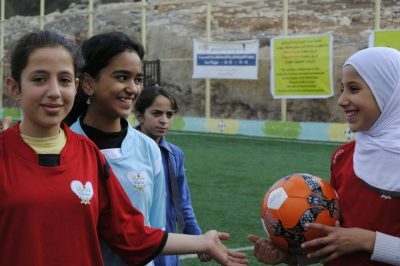 The Ramallah Municipality has generously allowed the tournament to take place at the Ramallah Recreational Compound. This event is further supported by the Netherlands Representative Office to the Palestinian Authorities and the Netherlands UNESCO Commission. 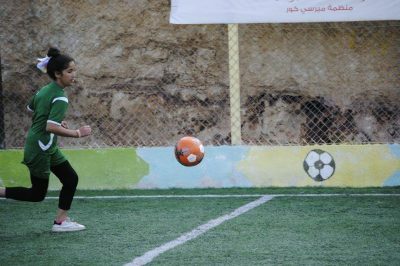 Our first football tournament took place in November 2017 in the host community of Rehaba, in northern Jordan. 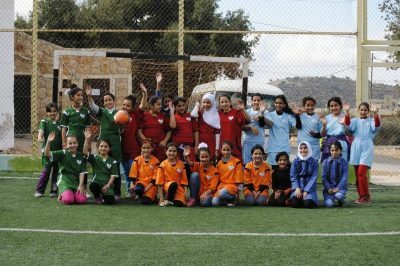 The tournament was aimed at Syrian and Jordanian boys and girls aged 8-12. Over a period of two days, we saw so many smiles and children having SO MUCH FUN! The girls were incredibly competitive (and good!) and the boys also played fiercely for their cup! We can write a long text here, but a picture says more than a thousand words, so check out our video below! We are currently planning several new projects and we will post more news as the planning continues! In the meantime, feel free to contact us, or follow our latest updates on social media.